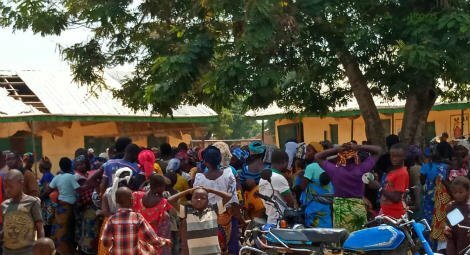 CSW’s Chief Executive Mervyn Thomas said: “We are deeply disturbed by the resurgence of militia attacks in southern Kaduna, and extend our deepest condolences to the Adara people. We echo the appeal for the immediate and unconditional release of the Adara elders, who have been detained arbitrarily. In the interests of justice and equity, we call for the restoration of the Adara Chiefdom, and urge all who are in positions of authority to refrain from making unsubstantiated accusations capable of inciting violence and damaging fragile community relations even further. We also urge the state and the federal governments to address this violence in a swift, decisive and unbiased manner, and to prioritise rehabilitation and justice for traumatised survivors. The relentless death and destruction is a sad indictment of the continuing failure by both levels of government to fulfil the primary mandate of protecting all its citizens impartially." "Internally displaced persons from Adara chiefdom"